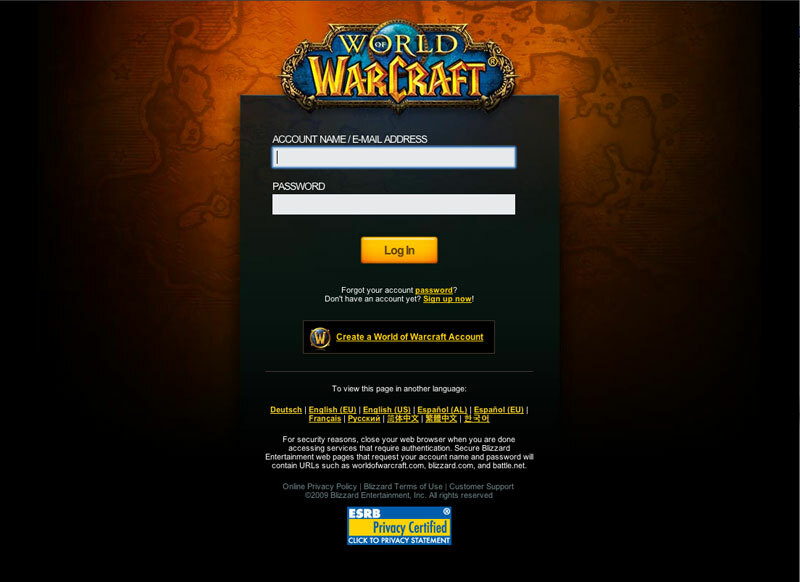 Those of you who’ve tried to log in to any of the Account Management features lately – including PTR character copies, and the official forums – will have seen a new login screen, asking for your account name or email address. This is the first step in Blizzard’s new plan of integrating their game accounts into Battle.Net accounts. For now, your usual game account details will work fine; at some point in the future, you’ll have to convert to a Battle.net account to keep playing. From the Blizzard Battle.Net FAQ: you can add and access up to eight WoW accounts under a single Battle.net login. When you log in to the game with a Battle.net account, if you’ve got multiple WoW accounts you can select which one you want to play. 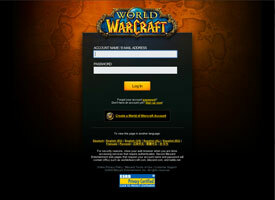 You can still log multiple WoW accounts in at once. I am hoping that this will allow better cross-account play in WoW. For instance, my main – on whom I do all the raiding and Wintergrasp’ing – is on one account, but the alts who could really benefit from Heirloom gear bought with my paladin’s Emblems and Stone Keeper Shards are all on the other account. I’m hoping that what’s now ‘Bind on Account’ will eventually be accessible within all accounts on a Battle.Net account. Ditto for Achievements when they become account-wide, too. It may be a pipe dream, but I can hope. I’m wondering how much of this is an effort to cut down on account sales, since I’m assuming you can’t un-merge a WoW account from a Battle.Net account once they’re linked. Characters powerlevelled specifically to be sold will still be around, of couse, but people are much less likely to sell off a cancelled WoW account with a tricked-out level-capped character if it means selling access to their other WoW accounts too, not to mention their StarCraft II and Diablo III access. I am so impressed. 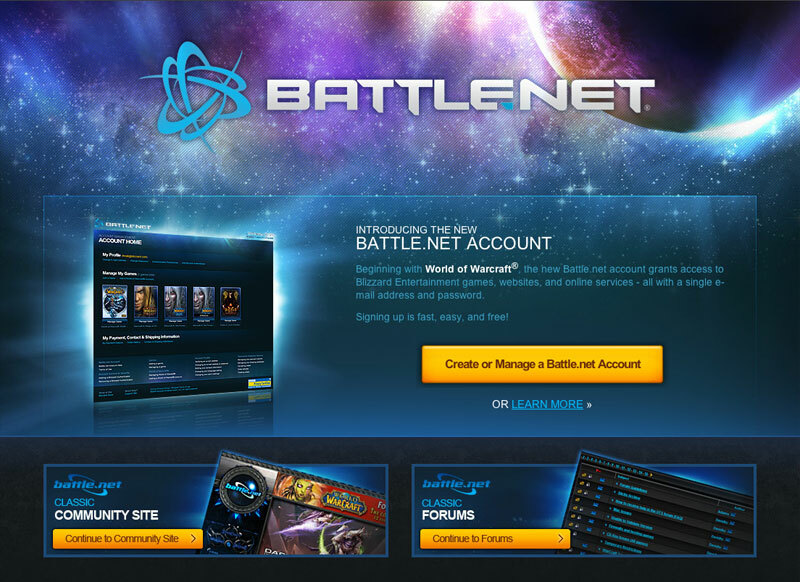 I just signed up for a Battle.Net account, merged my WoW accounts into it, and started scouring my study for other Blizzard games to register. I found one empty jewelcase for StarCraft, entered the CD key on the back, it automatically recognised the software and gave me a link to download it. This service will be a blessing for those of us who can’t keep our offices organised! …Now I just have to work out where I left the CD keys for Diablo, Diablo II, DII: Lord of Destruction, and SC: Brood War. Oops?